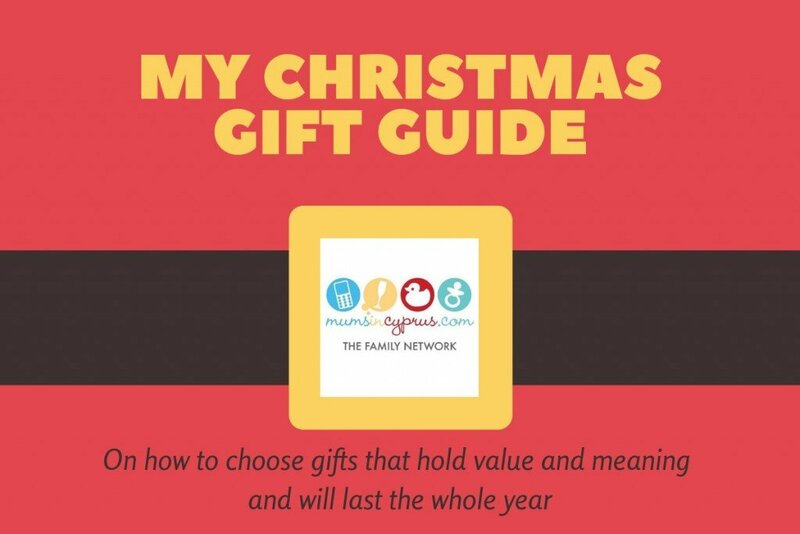 We’ve always spent a lot of time carefully choosing Christmas and Birthday gifts for our kids but I would say that as they have got older and we have become more attuned to the idea of living a less consumerist and more minimal life, we have become even more careful about giving less presents but ones that hold more meaning and value. We don’t feel that pressure to get ourselves in to debt at Christmas to buy our kids a huge number of expensive presents… and we feel more comfortable (and actually find it preferable these days) to give our children handmade or unusual gifts. Is this excessive present buying necessary or even healthy for our kids? There’s this enormous pressure when you’re pregnant to buy a whole list of things before your baby has even been born… and at each birthday and Christmas to buy an even bigger list of the latest developmental toys in case your child should fall behind all the other kids at playgroup! The funny thing is that young children don’t even need that many toys at all. In fact, they are less likely to focus and to learn to play effectively when they are over-stimulated and surrounded by too many things. And what they really need more than anything at that age is an adult to sit down on the floor with them and talk and interact. As a general rule, we don’t tend to buy our kids presents throughout the year – not even those little knick-knacks and other small gifts that pile up over the months – other than special occasions. 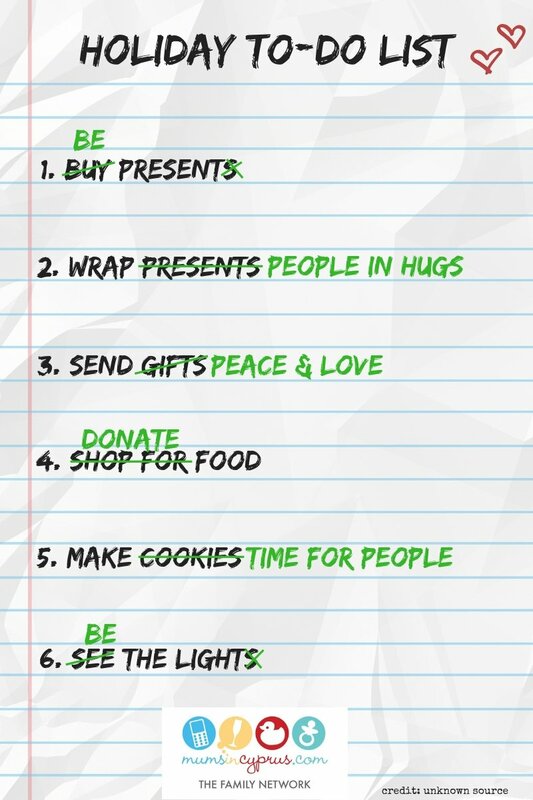 Our kids learnt early on to save up their wish lists for birthdays and Christmas. Those gifts that have managed to stay on their Christmas-wish list throughout the year are definitely those that will be more greatly valued when they are eventually gifted them. Santa always makes sure to give the kids wooden toys in their stockings; homemade sweets and chocolates and unique handmade little gifts sourced locally that they wouldn’t come across in Jumbo the following week and wonder why their elf-made gift can be found in a store. Bigger presents are always from Mama and Daddy and as we don’t have any control over what other people gift our kids (other than some helpful hints when asked for), we try to buy presents based on a (loose) set of guidelines. those presents that offer some kind of unique ‘experience’. So what fits in to these categories? Books, books, books… you can never have enough books. Buy local, buy in your various languages and if you’re not sure what to buy, read a Top-Ten Books list online and then head over to Amazon and read the reviews to see if it is the kind of story your child would like. Picture books have always been a hit in our house; along with some sort of Christmas-themed sticker/rub-down transfer or activity book… And as your kids get older, books from specific series that they are reading are always at the top of their list. Something that the kids NEED – this could be a new pair of boots or a pair of warm pyjamas, or an alarm clock or new lunchbox for the child who has just started school. It doesn’t matter if you would have bought them anyway – wrap them up and show your kids that even ‘necessary’ items are a privilege that some other kids are not lucky enough to get. Presents that tie in to an activity you have been doing together the previous months: if you like to spend time crafting with your children, make a dolls house with them in the preceding months and then get them some special accessories to go with your final creation. Making a project together that lasts several weeks or months is a great learning tool, as well as a good way to practice delayed gratification. We made a cardboard castle and a pirate’s ship with our son when he was three and he waited patiently for 2 months until his birthday to receive the special pirate and knight figures that he wanted to go in them. He is now six and it is still one of his most played-with toys! Crafting items – for that next big project: playdough; special paints and brushes; card and paper or that specific pricier craft item they want that merits a special occasion. Presents that tie in to a specific interest, even if they don’t really seem like a ‘traditional’ gift for a child. One year we got our daughter for her birthday just some ceramic plant pots, soil and a bunch of seeds and she was ecstatic. As we get busier and busier, what our kids often want most is our time. I really like the idea of giving ‘experience vouchers’ to my kids this Christmas – with promises to be ‘cashed-in’ throughout the year, to go to a specific museum; day trip or attraction… or just an afternoon that will be entirely devoted to cookie-baking or crafting together. We always buy a family film and board game each Christmas and are excited to get the chance each holiday to unwrap and watch/play the gift together. Why don’t we buy branded items? We tend to stay away from branded toys and clothes. Kid’s interests change wildly and that entire Peppa Pig matching bedroom set you got for your child is going to be out-of-date the minute they find a new favourite character. It’s always a good idea to go with more simple toys and nursery/bedroom equipment and add special accessories to make a theme – these are easier to change/upgrade and pass on to a younger sibling or friend. We might buy some specific toys for birthdays if they match a theme that has been ongoing for quite some time (especially if it is related to a favourite book series) – dragons and dinosaurs and anything animal-related have been big favourites in our house for quite some time! We try to ensure that a large proportion of the presents we gift our children (and their friends and relatives) will have been handmade by us – or locally by one of the many superb artisans and craftspeople working on this little island. Failing that, they will have at least been bought by a local small business like the ones here that are participating in our “12 Days to Christmas” Giveaway or these from our MiC Marketplace. The last couple of years we have encouraged our kids to hand-make presents for each other and their cousins – this could be an activity book, or a story, a Christmas decoration or a toy. They have always made handmade cards for friends and relatives (handprint reindeers when they were little, working their way up to pop-up and more complicated cards as they have got older). We always choose our favourite photos together and use these to make a photo-calendar each year for their Grandparents, who really look forward to receiving it each year. We make sure to donate the previous year’s winter coats, shoes and clothes before Christmas to Kofinou Refugee Camp; the Red Cross and other local charities that provide for families in need within Limassol and Cyprus. The kids also each make up a gift box (by approximate age and gender) for the initiatives collecting each Christmas for disadvantaged children locally. 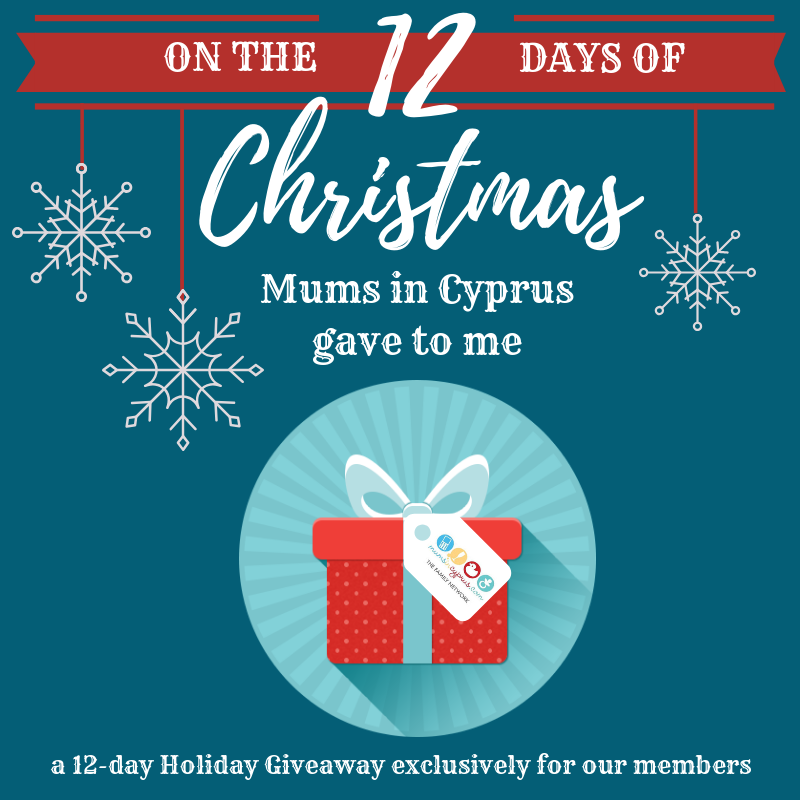 Carine wrote a great blog post about the Reverse Advent calendar a few weeks back about how important it is to remember that Christmas is also about giving and how important it is to teach our children this – with some handy tips on how to try this in your own home this Christmas.